Talk and listen without having to remove the radio from your belt. 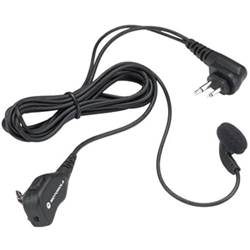 The earbud conveniently fits in the ear and delivers great sound even in noisy places. Tiny push-to-talk microphone conveniently clips to collar.